This year’s fall summit was held on October 2nd in the Boston, Massachusetts area. Even though the event wasn’t co-located with the DESIGN East event, like last year’s, attendance grew. Our own Marco Jacobs gave a talk on feature detection and tracking. 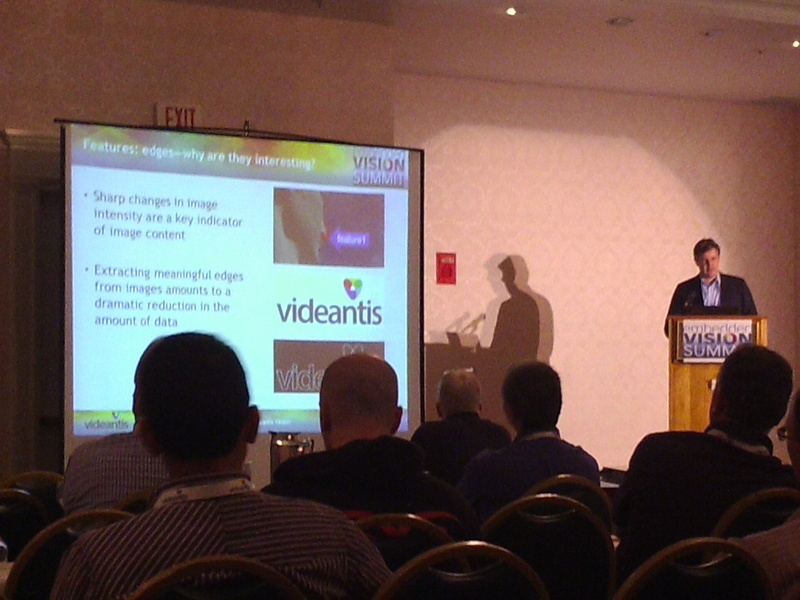 Videos for all the presentations will be posted online in a couple of weeks on the embedded vision alliance website. In our booth, we were showing our low power vision accelerator IP core, running diverse vision applications such as face or skin detection, as well as key vision algorithms like feature detection and tracking, all at HD resolution, consuming very little power. Videantis thanks everyone for visiting our booth at the summit and attending our talk. It was great meeting new and old friends in the industry and it’s clear that the computer vision community is thriving.